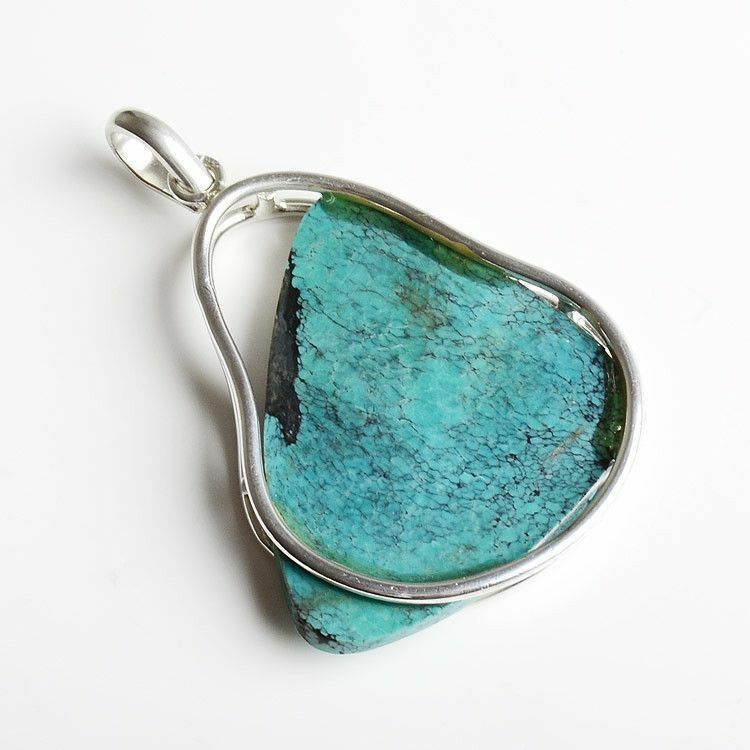 This pendant is truly a one-of-a-kind! 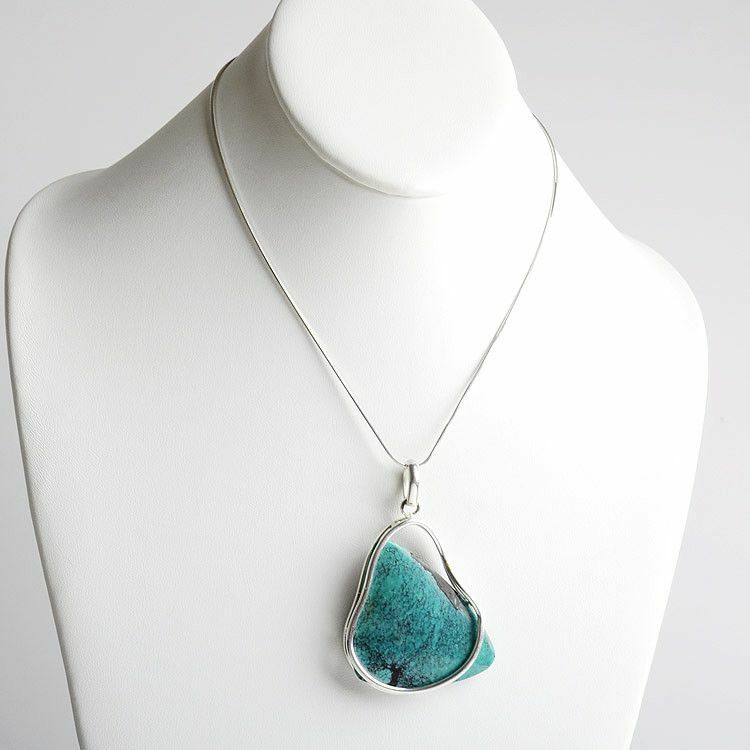 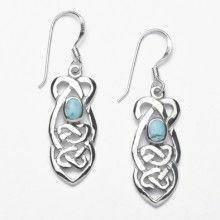 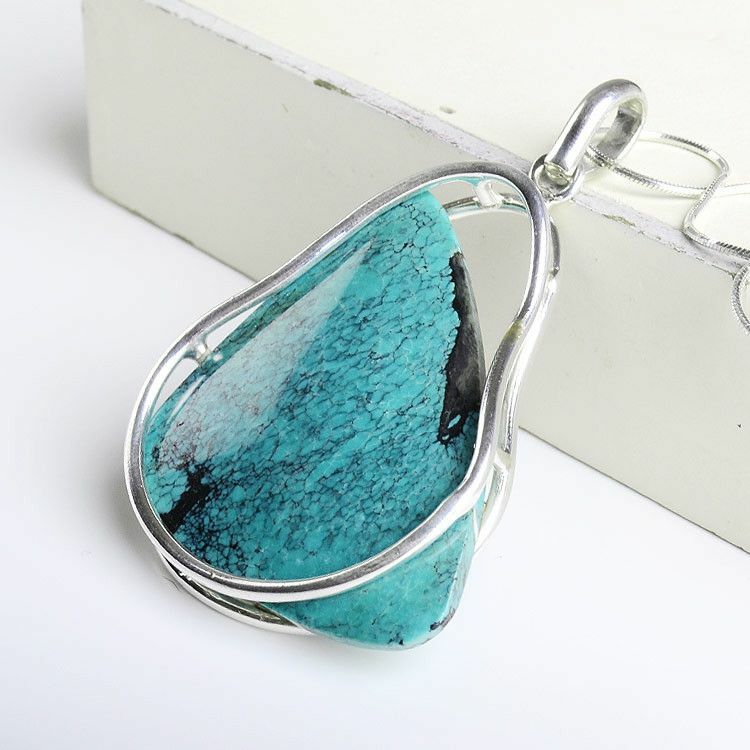 It feature one natural turquoise stone that sits rather freely inside a sterling silver bar, which just so happens to be pear-shaped. 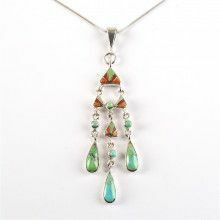 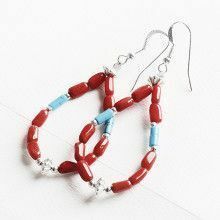 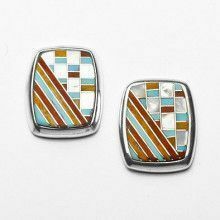 This pendant looks good from the front or the back and would make a great addition to any wardrobe. 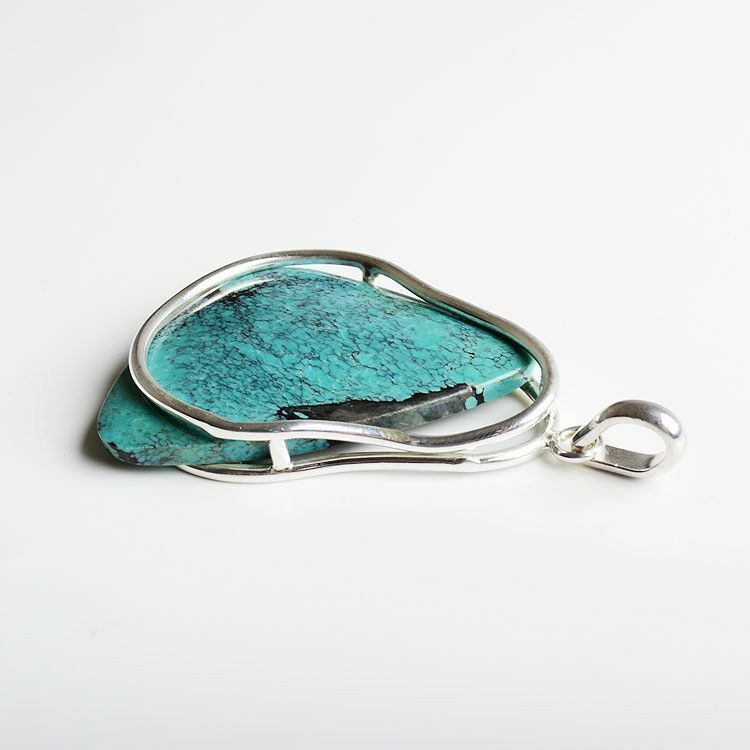 Pendant measures about 2 3/4" x 1 3/4"